Had a long week? Nothing like a little TLC and R&R that will do the trick. We carry tons of brands to help make your week a little more fun. Lotions? We got ‘em. Candles? Yep. Bath bombs? Duh. Here are a few of our favorite brands to pamper ourselves with. With 5 unique scents and an extensive product line complete with body cream, essential oils, skin tonic, body spray, lip balm and more, you’ll be sure to find what works best on you, for you. 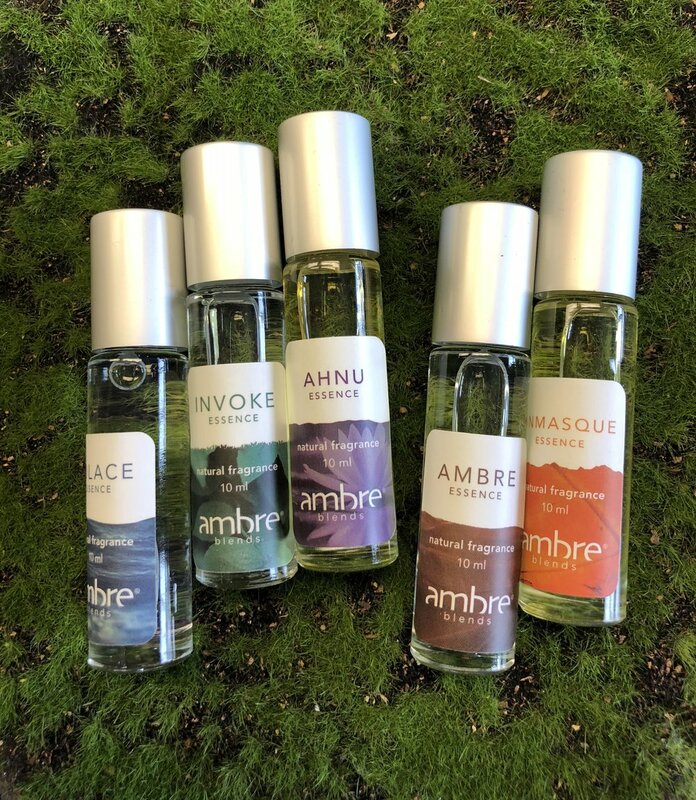 Locally owned and operated, Ambre Blends has made its way across the United States. Complete with 5 unique and original scents, every day can be different. Ambre, the original and most popular essence is sure to be a staple in your every day routine. Be sure to try Invoke, Solace, Unmasque and the latest in the collection, Ahnu. Stop by and grab a sample pack of all 5 scents for $18 and see what works best for you. Ask a Gallery Girl what her favorite scent is! Our latest addition to the body care portfolio here at Gallery 116 is The Sweet Shoppe. This local handmade bath and body care line is inspired by the sweet treat of ice cream. The product line consists of sugar scrub, body scrub, hand scrub, bath bombs, lip scrub and more. Flavors and scents are always changing, so be sure to grab your favorite while you can! Did we mention that all products are Paraben-free and Phthalate-free?